The magnetic shape-memory article by Vee, David, and co-workers at Boise State University was published in issue 24, volume 99 of Physical Review Letters. The article, entitled "Increasing magnetoplasticity in polycrystalline Ni-Mn-Ga by reducing internal constraints through porosity" was also highlighted as the cover story on the NSF website. The full NSF article can be accessed here. A recently reviewed Physical Review Letters article on magnetic shape-memory foams by Vee, David and co-workers at Boise State University has been highlighted in Physical Review Focus from the American Physical Society. The full story can be found here and was recently mentioned in MRS News. Congratulations to Dr. Alan Brothers who will be joining Mainstream Engineering in Florida from his current position as postdoc at Hahn-Meitner Institute in Germany. A. Bansiddhi and D.C. Dunand: Shape-memory NiTi foams produced by solid-state replication with NaF. Intermetallics, Volume 15, Issue 12, December 2007, Pages 1612-1622. Justin passed his qualifier and is now an official Ph.D. candidate. David Dunand was part of the 2007 Class of Fellows, ASM. 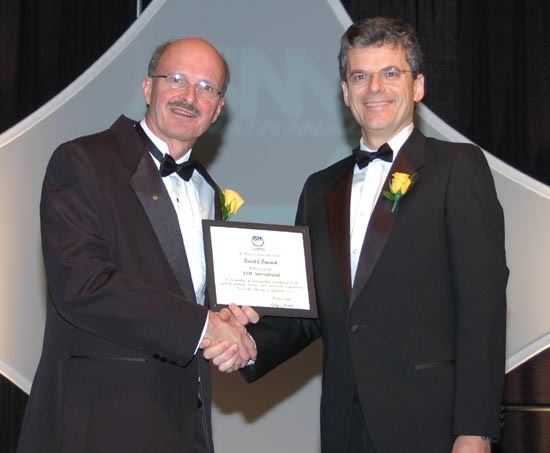 He is cited "For significant contributions to understanding the mechanical properties of dispersion-strengthened alloys, metal matrix composites and metallic foams." The complete list of 2007 fellows can be found here. Former Dunand post-doctoral researcher Vee Boonyongmaneerat was recently featured in the news for his work on electrodeposition on metallic foams. The article (in Thai) can be accessed here. 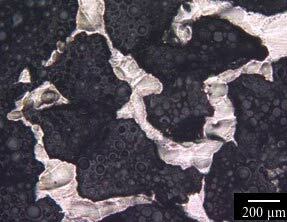 It discusses some of the work presented at the 1st Thai Metallurgy Research Conference. Rick recently defended his Ph.D. thesis. He is now headed to work for Sandia National Laboratories. Congratulations are again in order for Jordan Kwok, who was awarded the Frey Prize, 3rd Place at the McCormick graduation ceremony for his work entitled "Development and Characteriztaion of a Process for Removing Steel Placeholders from Titanium Foams." Visit http://www.matsci.northwestern.edu/announce.html for the official announcement. Congratulations to former group member, Rajan Vaidyanathan, and his wife, Cecilia, on the birth of their son, Arvid Charles. He weighs in at 8 Lbs 5 Oz, 20.5". Jordan Kwok recently received one of the inaugural Hilliard awards for exceptional achievement in research by an undergraduate. His project was entitled "Development and Characteriztaion of a Process for Removing Steel Placeholders from Titanium Foams" and he was mentored by Scott. Congratulations to Rick, who was awarded first prize at the John E. Hilliard Symposium for his talk entitled "3-D Microstructure and Mechanical Properties of Al-Sc-Er." Alix recently won the first place poster award at the Argonne National Lab User Week Conference poster sessions. The title of her poster was "Determination of the Mechanical Properties of Bovine Dentin Via High-Energy X-ray Diffraction." 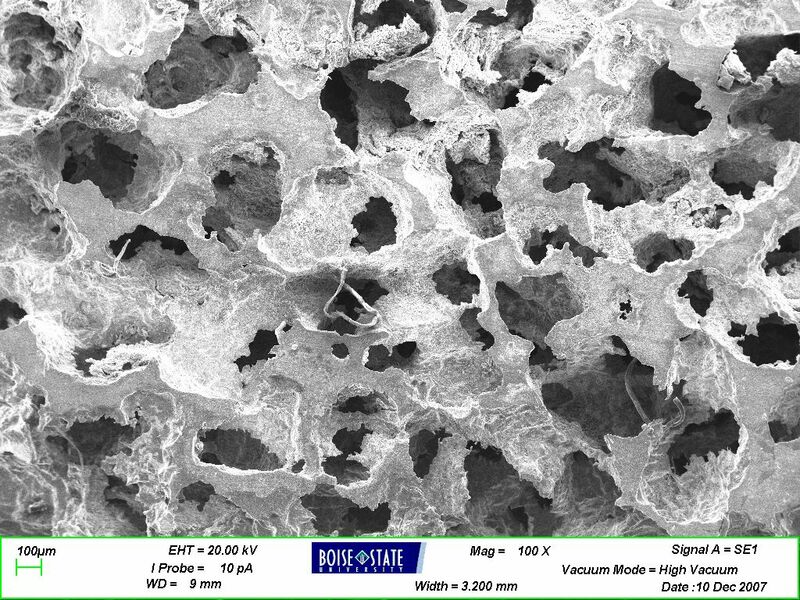 Many group members will be attending the upcoming MetFoam 2007 Conference on Porous Metals and Metallic Foams in Montreal, Canada from September 5-7, 2007. Past and present group members that will be in attendance include: Ampika Bansiddhi, Marie Cox, John DeFouw, Jessica Li, Justin Scott, Dr. Yuttanant Boonyongmaneerat [Vee], Dr. Heeman Choe, Dr. Yasumasa Chino and Dr. Andrea Hodge. Northwestern's collaboration with The Art Institute of Chicago is currently featured on the front page of the Argonne National Laboratory website. The article can be accessed here. Congratulations to Alix for being selected for two prestigious 3-year fellowships: the National Science Foundation (NSF) Graduate Research Fellowship and the National Defense Science and Engineering Graduate (NDSEG) Fellowship. She has accepted the NDSEG Fellowship. Congratulations to Marcus on receiving a prestigious Humbolt Fellowship, which will provide funding for his postdoctoral work in Germany for up to 2 years.